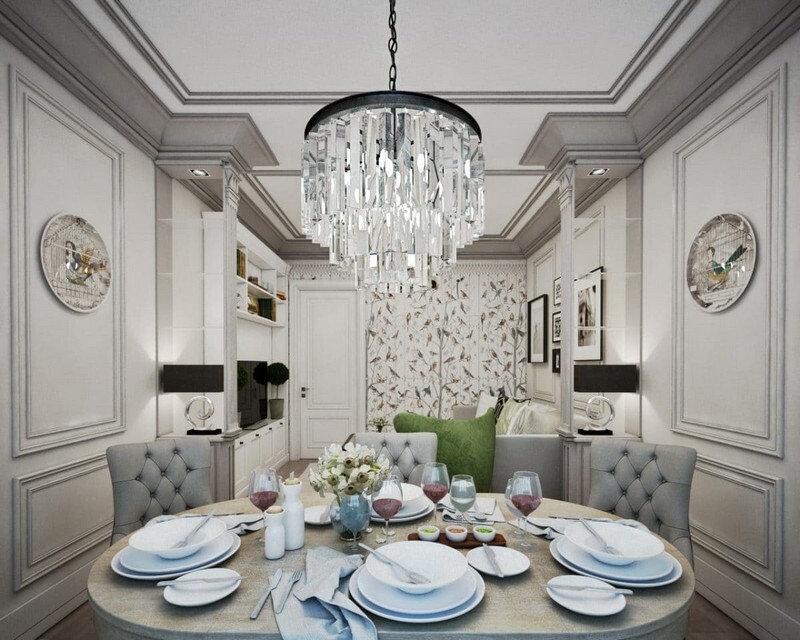 This integral and extremely beautiful interior design is composed of details. But you will enjoy watching them both separately and collectively. This apartment in neo-classical style seems to be a part of a magical fairy-tale. It was created for a young couple sharing traditional views and passion for classics. Let’s move on to the details. 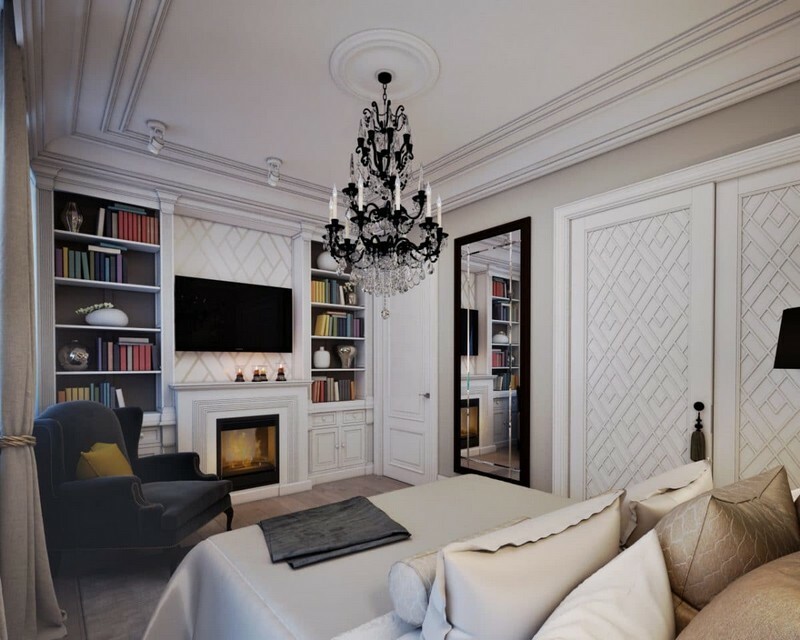 The general idea was to create a light and comfy classical space using some details of American and European-style interiors. 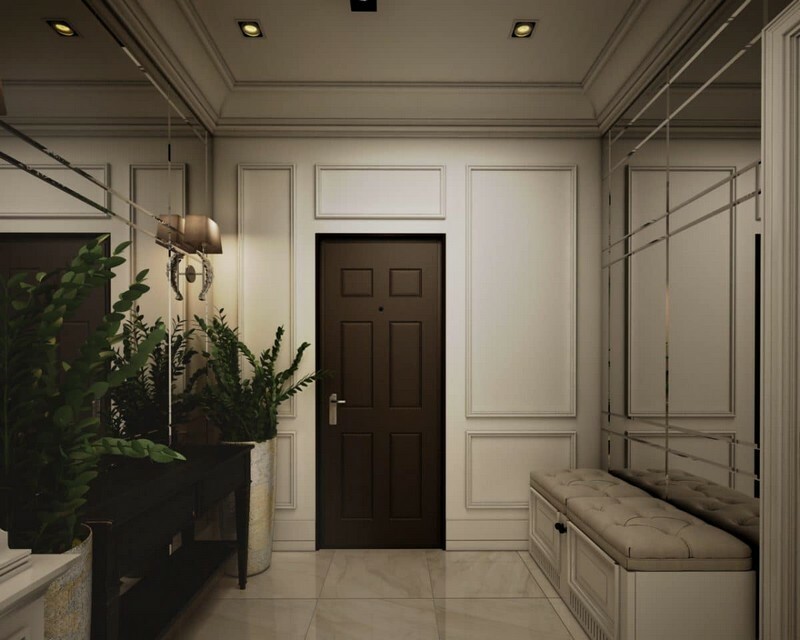 That is why the apartment is dominated by light, powdered, grayish-beige colors, natural materials and luxurious brand furniture. The entry zone was slightly expanded by means of layout changes. The effect was additionally enhanced by two opposite mirror walls. The flooring is faced with glossy ceramic granite with neutral light texture. The area is dressed up by a couple of beautiful wall lamps by Eichholtz. The living room looks very presentable. 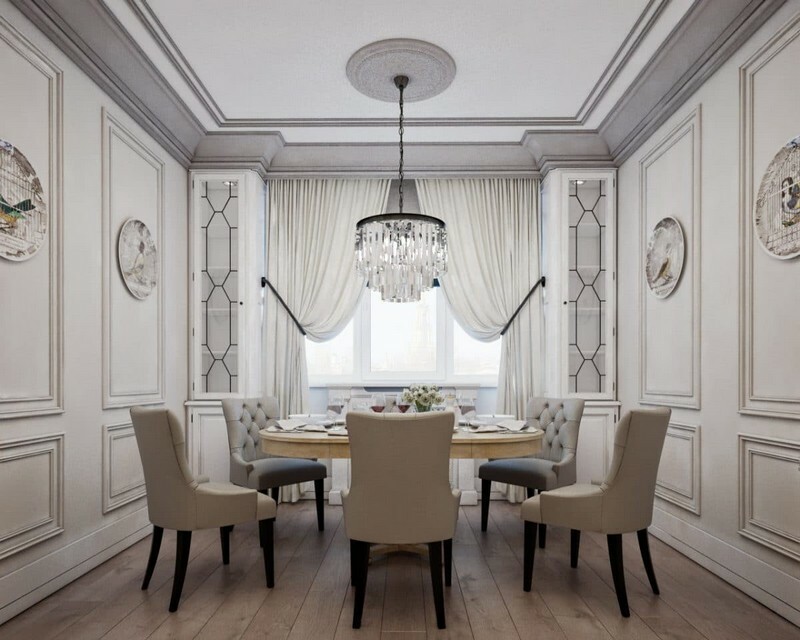 Ultimate elegancy is obtained by gray crown moldings, marvelous chandeliers by Gramercy Home, exquisite furnishing and Fornasetti motives embodied in wallpaper by Cole & Son and wall plate décor in the dining zone. The lounge and dining areas are visually separated by two compact partitions backlit by Eichholtz desk lamps. 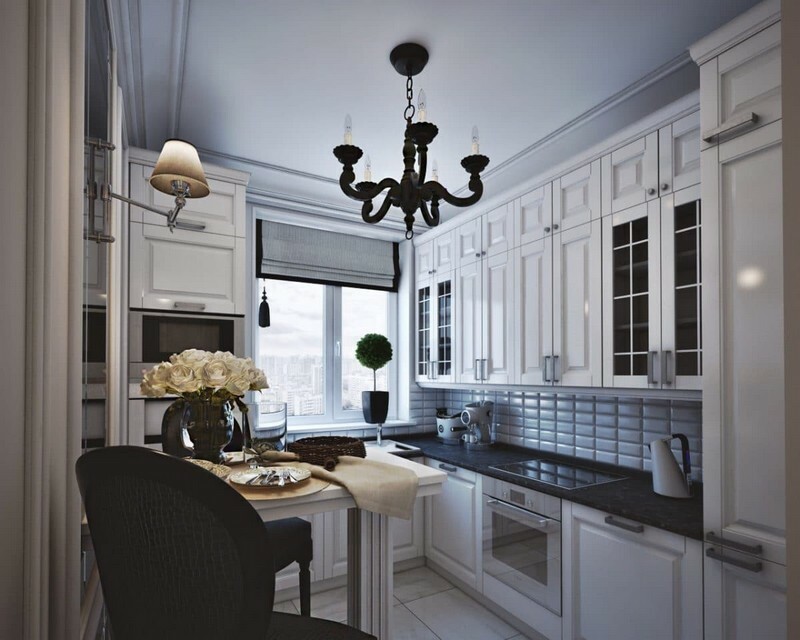 As for the kitchen design, the task was more challenging than in the other rooms. The thing is that its area is pretty tight. At the same time, the young mistress is keen on home cooking. And she also needed a full-fledged storage system for versatile utensils and appliances. Following lengthy discussions, it was decided that a full-fledged dining table should be abandoned in favor of a small table top and a couple of luxurious bar stools. A sink is located in front of a window – that was the dream of the mistress. 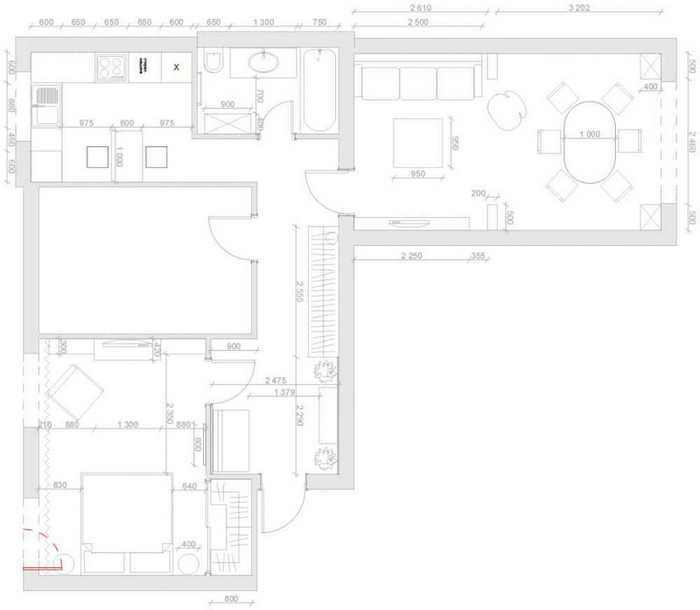 Not to reduce the already tight area, the kitchen has no door and features the same floor finish as the corridor zone. 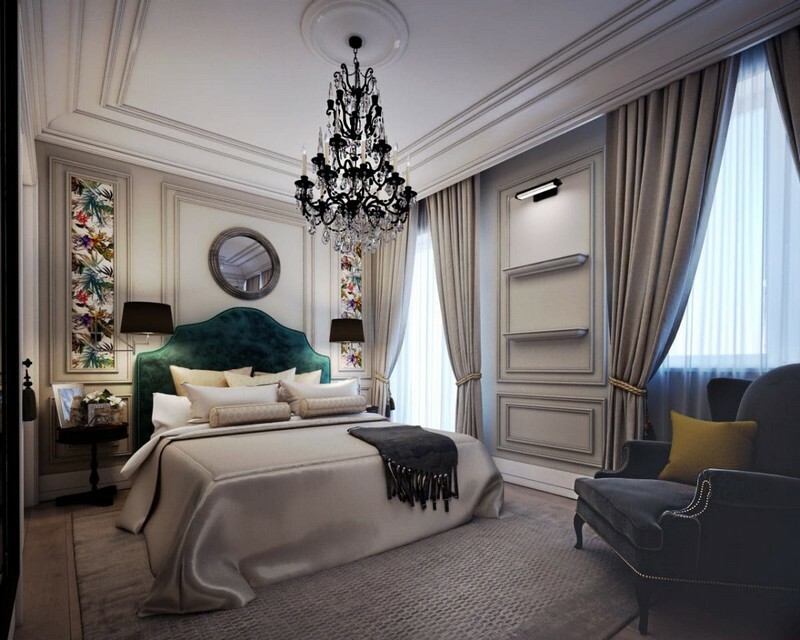 The gorgeous bedroom interior is a fruit of expensive designer furniture and décor. The headboard zone is accented by beautiful custom-made wallpaper with floral pattern. 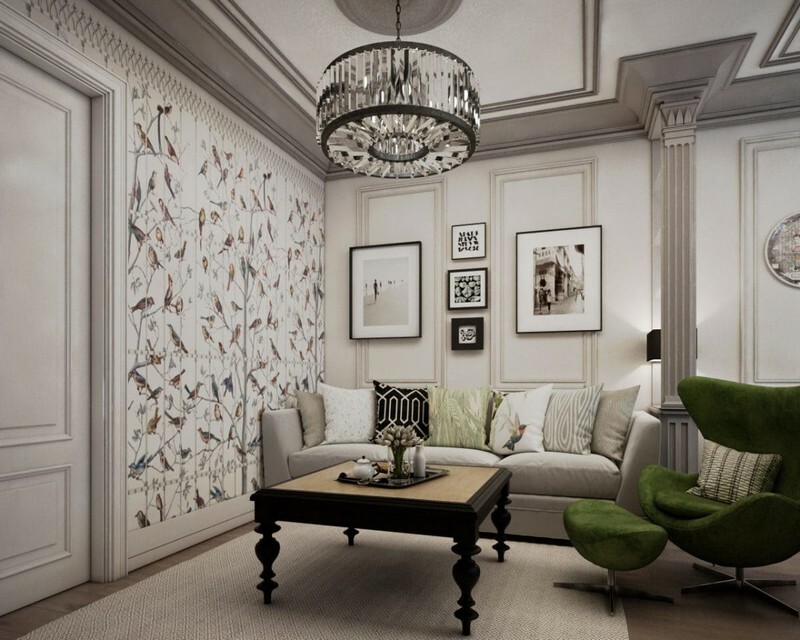 One of the key roles in creating classical interiors belongs to home textile. In this interior it’s 100% natural, neutral and high-quality. In the bedroom classical draped curtains are coupled with velvet upholstery of the furnishing, enhancing the sense of coziness in the room. 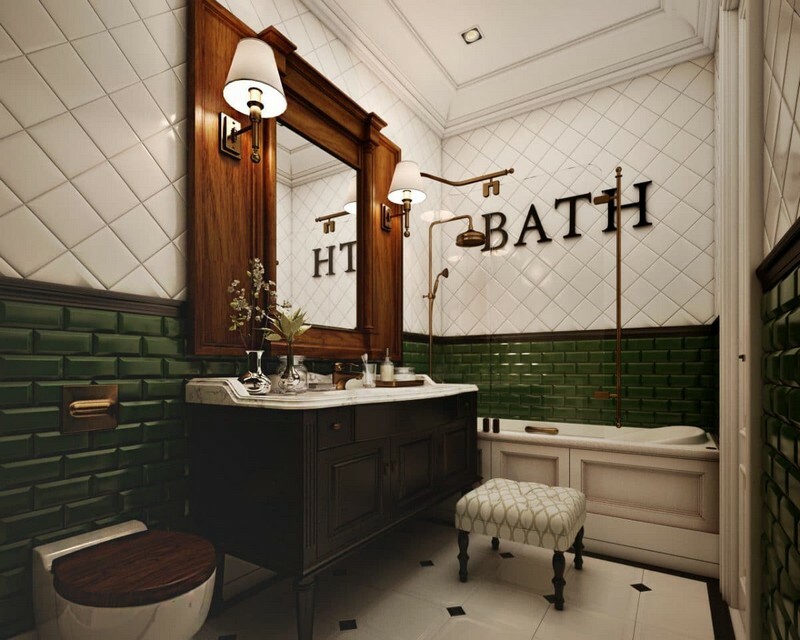 The bathroom interior is not as classical as the rest of the space. 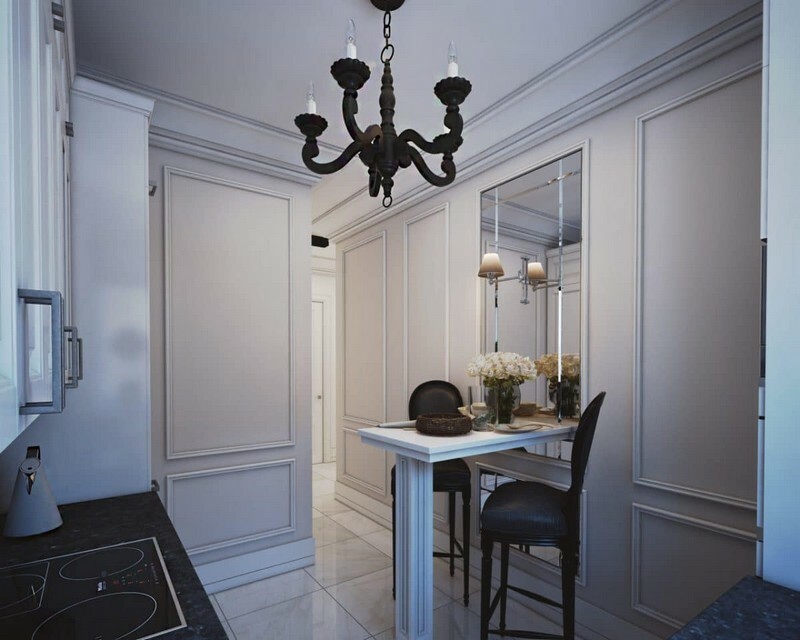 Here the decorators added a touch of retro and minimized luxurious elements. The walls are finished with two types of tiles reminding of English-style Victorian baseboards. 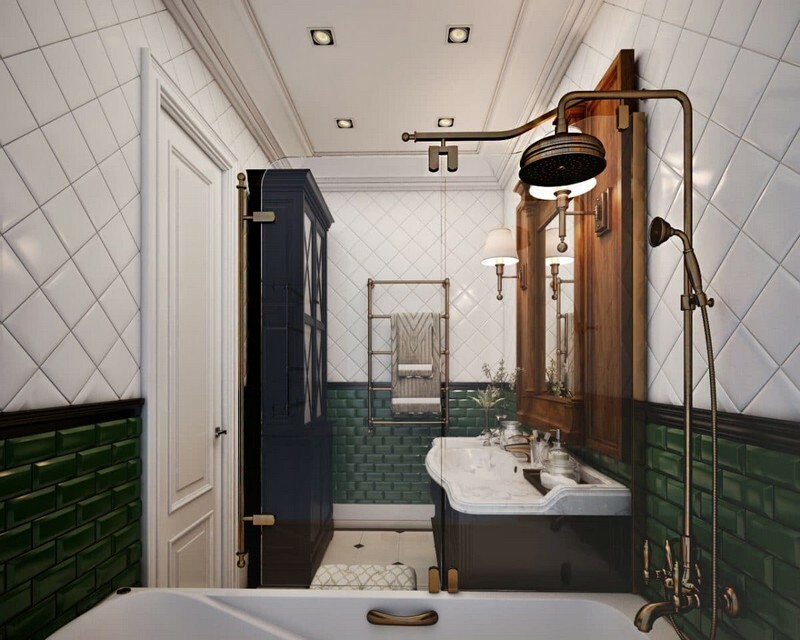 The cupboard is made by Eichholtz, sanitary porcelain and fixtures – by Cezares, and the wash basin cabinet is custom-made.